I may have mentioned before that I sometimes find thrift yarn shopping a bit fun. It is probably not super great for my stash and keeping organized. 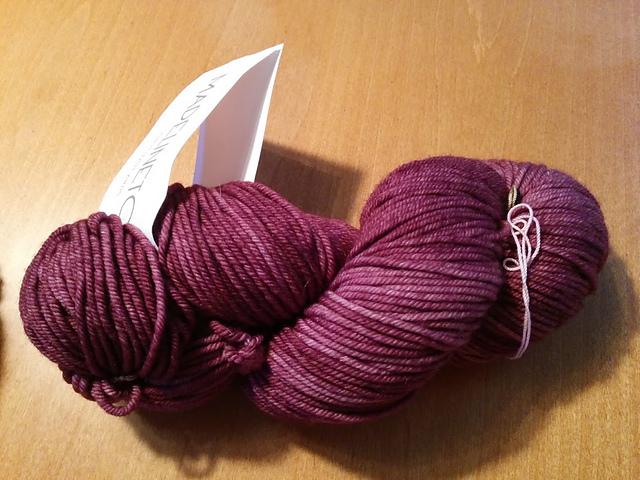 One of my prior buys had a bit of bulky yarn in it… which isn’t my typical use yarn and so it found itself filed in the same box as some others that might as well be called, “Interesting but, she’s just not that into you”. 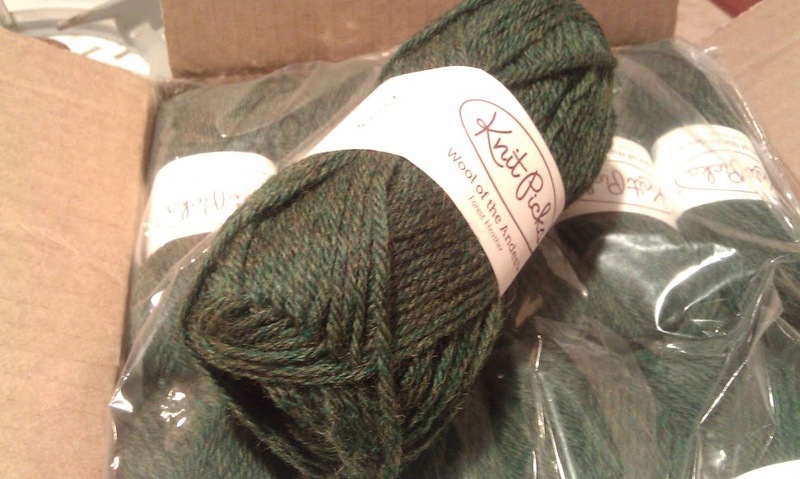 Its probably worth noting that my very first knitting project yarn was frogged and currently lives in this box, so its not a case of them being bad yarns per se. One part of my new years resolution was to sort through this box and Knit It or Quit It. If the yarns don’t get knit (or at least project ideas picked for them) then its off to someone else. And so with the trepidation of being only relatively certain the unlabeled bulky was wool… I set out to felt my first thing. Just a simple bowl//basket shape with some beaded fur held double at the edges to start. Then into the wash on hot with a pair of jeans…. I call it my Gothic Easter Bunny Basket. This one came out perfect (in my opinion) so fresh on the heels of my success I tried out a few more felted items using slip stitches and another yarn from the same thrift stash. And well… here’s the before and after shots. Not quite as sold on how these turned out, debating if I should try felting a bit more, or just give them a nice sweater shave…. 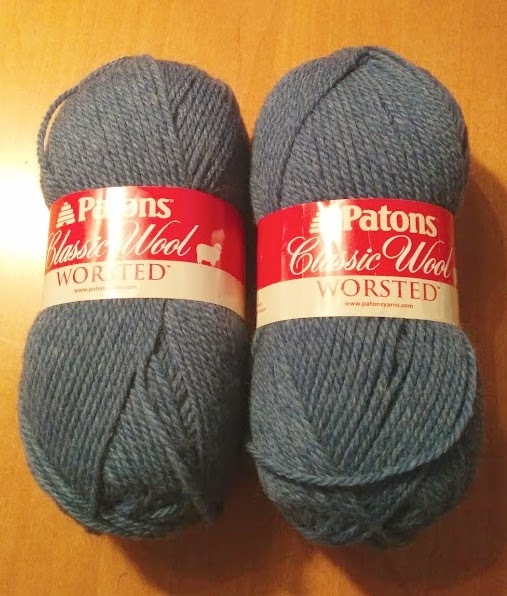 Possibly the wool content was a bit more of a blend in these yarns. There are a bit more of these yarns left, and if I can sort out where to get nice cork clog soles I’d totally want to try to make those. So back into the puzzle box for you bulky yarns! I finished my qualifying round of Sock Madness socks. As is traditional when speed knitting.. the first finished photos may suffer from the lighting in the later hours when they were completed. So I took another photo today when there was a bit more sunshine. Sock Madness is coming up right around the corner and I’m signed up again. I made it into Round 6 last year. So in anticipation, I’ve sorted out some yarn options for the Madness and spent a portion of the other day turning hanks into balls. This year I also decided to put together a few prizes for the Madness, so I put together some notion bags and fabric boxes with working button holes so you can use them like a yarn bowl if that’s your jam. The bag tutorial can be found here, and the fabric boxes here. My only alteration was to add working button holes to the boxes instead of just decorative buttons. I bought my zippers and buttons at Pacific Fabrics and picked up the rest of their Row by Row kits to make a nice PNW quilt. (Can there be more hours in the day?) That’s what it will eventually look like there on the left. 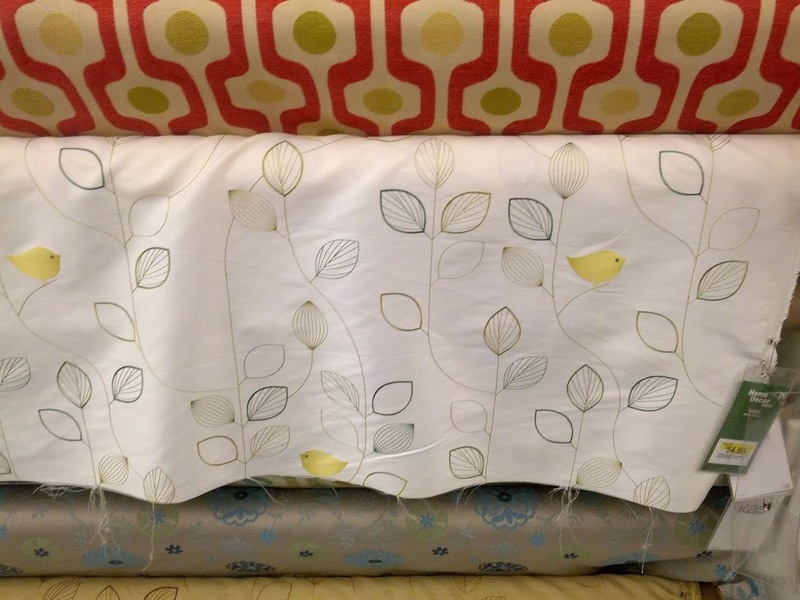 Sometimes I feel like the quilting side of things tends to fall behind… and if I want to get my goal of seven quilts this year I’m going to have to kick over into quilt-ville after the Madness. Today I put in the first six days of February of my 365 day challenge. And before I forget…. I did finish my KAL shawl! 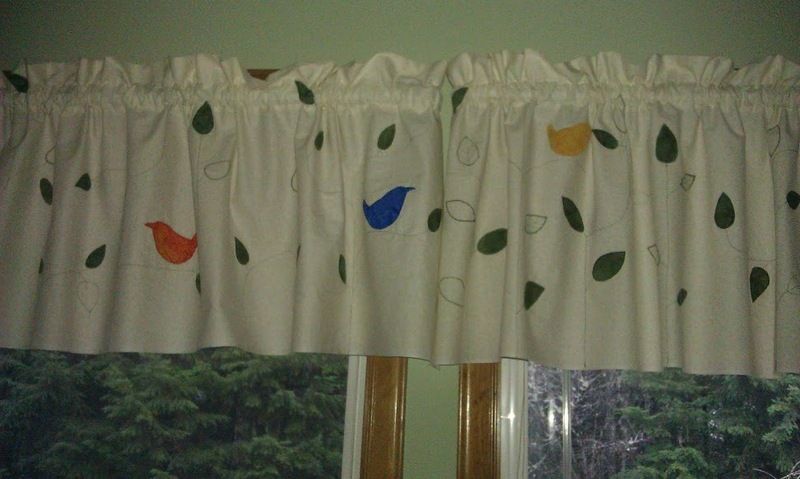 Its the latest in my bird themed ones. This one is based on the local Stellar’s Jays with their blue and black. 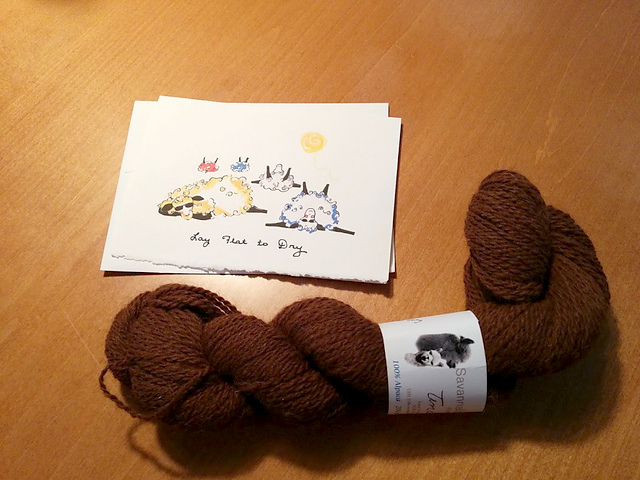 Yarn Swapping, Assassiknitting, and a Nyan Cowl Pattern too! Crafting can at times be very social, and yet very independent work too. Its the range from knitting/sewing circles to just me at home with my machine/needles. It can be very easy to skew to one end or the other and at times I feel a distinct need to correct the trajectory. So this year I’m engaging a bit more with the people side of things. For which I have gained some great yarn from my first two swaps. After the first couple swaps I joined in on an Assassiknitting group project. Assassiknitting is where everyone works the same project, with the goal of completing yours and mailing it out to “kill” whom you are knitting for. At which point you take on their project and try to eliminate their target…. all before you get eliminated yourself. 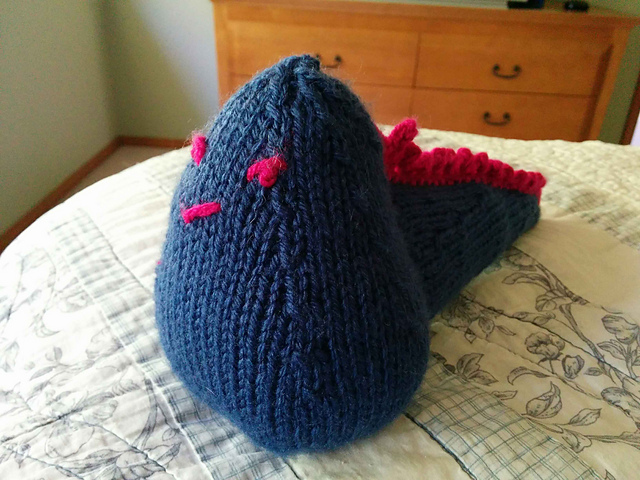 Our project was to knit up a Grumpasaurus. I knit for someone in Pennsylvannia, and managed to get my Grumpy guy knit all in the first day and out the door faster than I could take a photo with his feet attached. Curse his sudden yet inevitable betrayal! Turns out… he was actually an herbivore. Killed me with his cuteness. Which brings us to the third, yet on-going yarn swap. I have already mailed mine, and I know that there are a few people who have commented about the Nyan Cowl and my thoughts of writing up a pattern. One of those people was the person I was to gift to. So I finished up assembling my bits of notes into something resembling a pattern and sent it on its way. 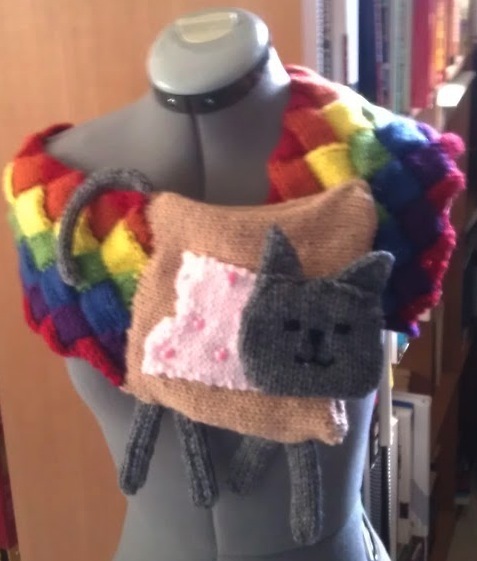 Since my giftee has now received her package of loot, I am happy to now offer the Nyan Cowl Pattern to everyone! And YOU get a Nyan, and YOU get a Nyan, And YOU, and YOU, and YOU…. 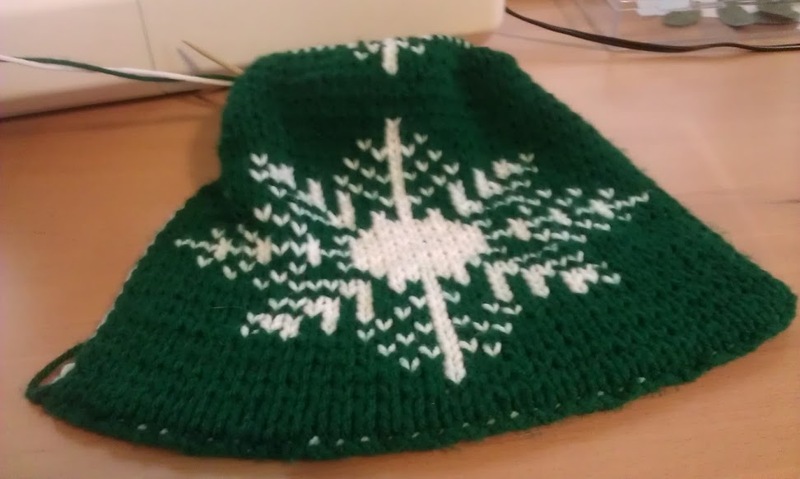 Please note that this pattern has had very limited test knitting. Please notify me if you find any errors or mistakes, or just if something isn’t 100% clear. Unfortunately I do not have yardage requirements, but I can say that I used less than a single skein of each color, and you can use my first project which I have updated to include specific yarns I used. PS – While I was anxiously waiting to post the Nyan Cowl pattern, I found I’d written up most of my market bag pattern at one point… so I finished writing that up too. I’m calling it Misscarlotta Goes to Market and would love to have some people try it out. It’s a laptop case, not a Tri-corder Jim! So I hinted at this one in my last post, but I’ve held off posting until I was able to give it to my very Trek fan friend, Todd. Personally I would have felt a little tacky to post it, have him see it and then later given it with an “oh yeah and its yours” so anonymous and partially anonymous (Hi mom!) internet people had to wait. What's a laptop cap'n? Well its like a Tri-corder only larger and with a viewing screen. Ben has a friend/co-worker that is majorly into Pokémon. 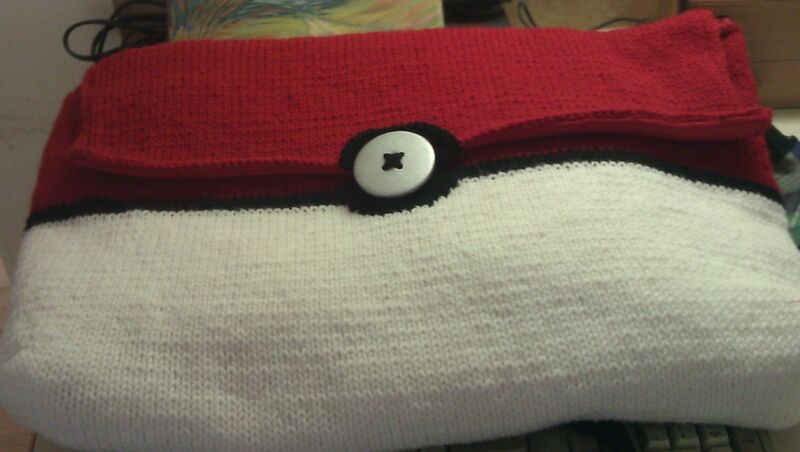 He also commented that I should make him a pokémon laptop case. While I could have gone with something simple like a three color pokéball design, naturally I didn’t go with JUST a pokéball design. So I employed the finest in friend espionage to uncover which was his favorite Pokémonster. Naturally he didn’t like something simple likeJigglypuff or everyone’s meme favorite Mudkip; his favorite was Rapidash, a flaming unicorn type. On the plus side game characters are all pixel based sprites, which makes pixelating an image into a stitch chart relatively easy. 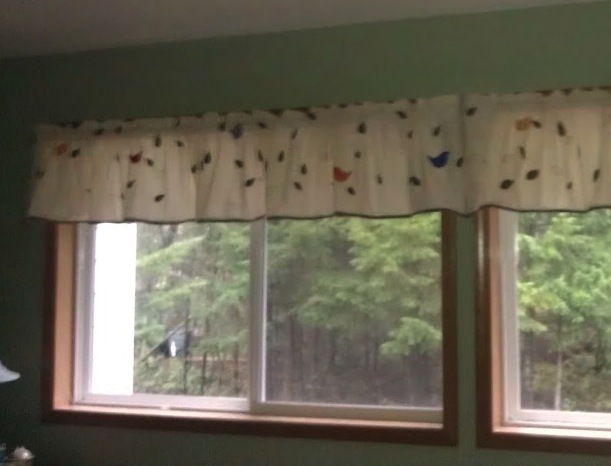 1 pixel = 1 stitch. So finding a sprite image of Rapidash wasn’t too difficult. However, game design and development has come a long way in building up from things like Space invaders of 11 pixels and one color creatures to the mighty Rapidash with his 80 by 80 pixels sprite with multiple colors even for shading. 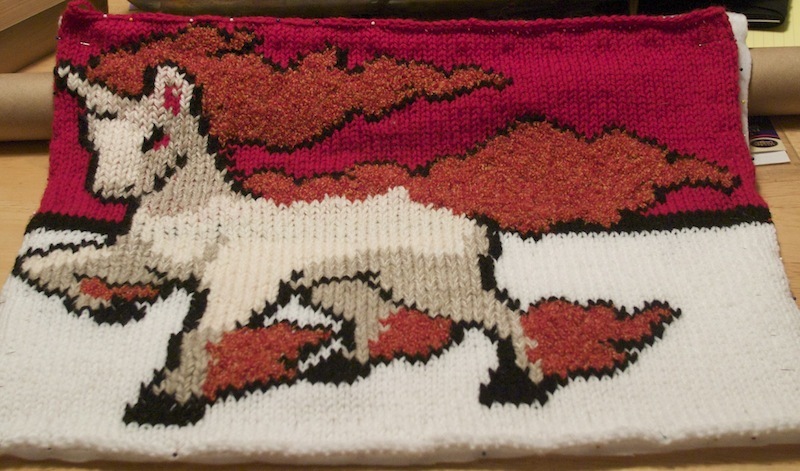 So I started knitting, but when I finally got the completed Rapidash panel side done, it was clear that this was not going to be small enough to be a laptop case. And so a messenger bag design was born. On the back side, with the layered fleece behind it being the laptop zipper pocket was the Rapidash side of the bag. I used some bouclé yarn in autumn colors for my fire details, and mixed a strand of light colored needlepoint yarn with my darker beige in places to make an in-between shading spaces. 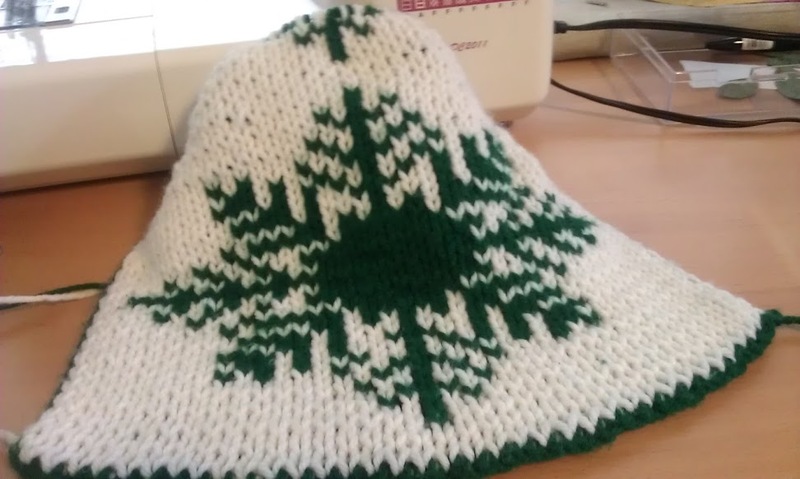 My first attempt was to knit with all these colors going all the time but it was rather chaotic, so I stuck with doing a stitch over my red and white stitches in the end. The other side was a rather simple Pokéball design with a giant silver painted button for a clasp. Inside, the bag is double fleece lined (red on top of white) which enabled the feature of a zippered laptop sleeve on one side and a double pocket for Kindle and 3DS on the button side of the bag. I make my own knit grocery bags. There… I said it. 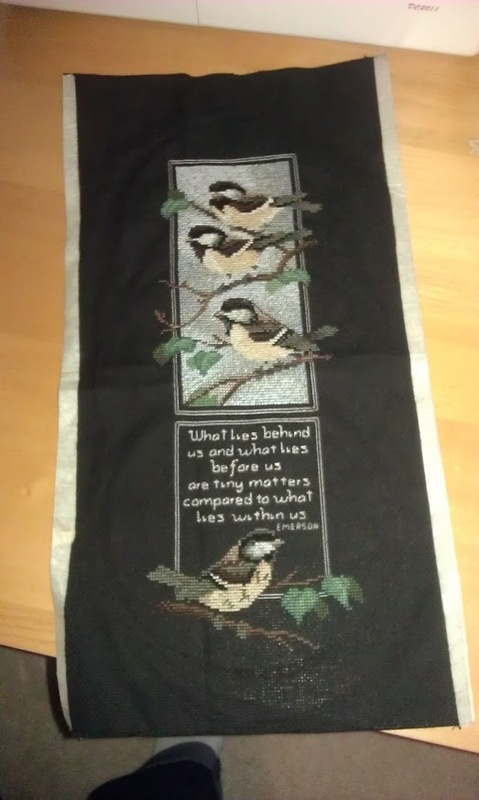 It was the first type of bag I tackled after making scarves and hats, when I decided I should attempt to make something rather practical and useful. Sadly my photos for this post are not the best, but I thought you’d see enough to get the gist of my environmentally conscience thumb. 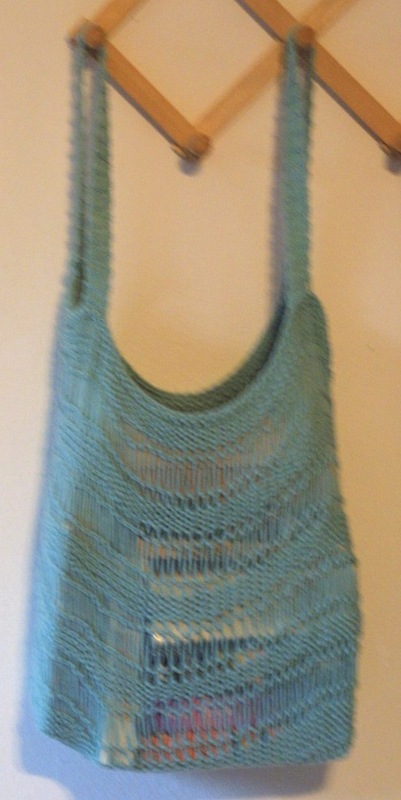 My first bag, I followed this pattern from knitty.com. I actually made larger i-cord handles for mine, but to me the bag felt just a bit too shapeless when I finished constructing it out of my cotton yarn. So I decided the only solution was to use what I’d learned to build my own bag. I followed the same directions for the base, but when I got to the sides, I decided the solution was to use the YO/drop pattern I learned way back in the very early days of making scarves. 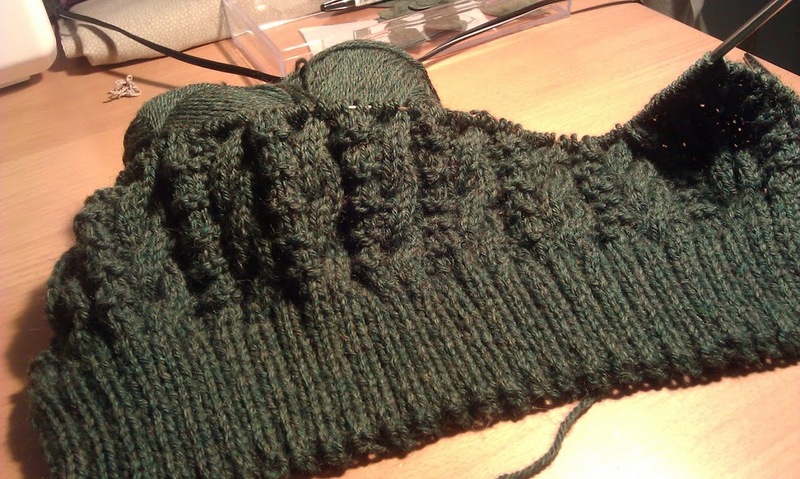 To further enhance the effect I swapped from my smaller needles to a larger size for the yarn over row and then back to the smaller needles as I dropped the yarn overs off for the next row. This resulted in a neat striped solid/net look. 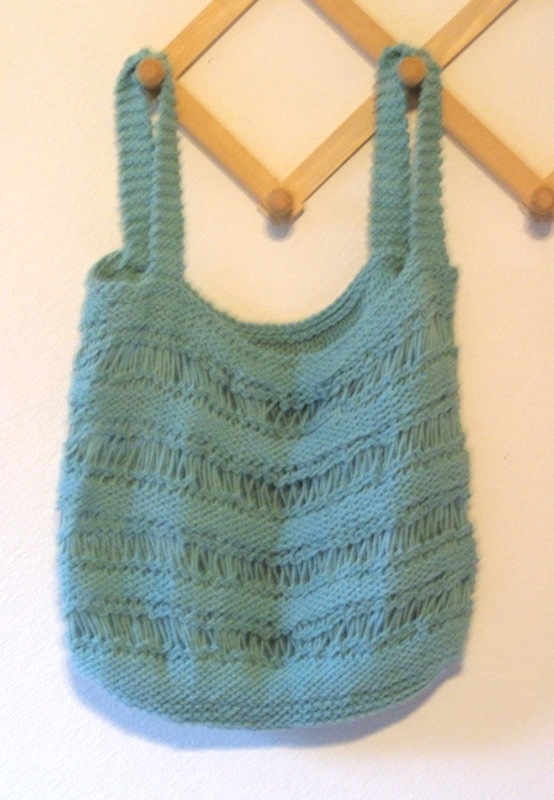 Secondly, my experience with the i-cord handles on my first grocery sack led me to consider that perhaps just a simple knit every row handle would suit this style better, giving it more area to grip at the top of the bag. 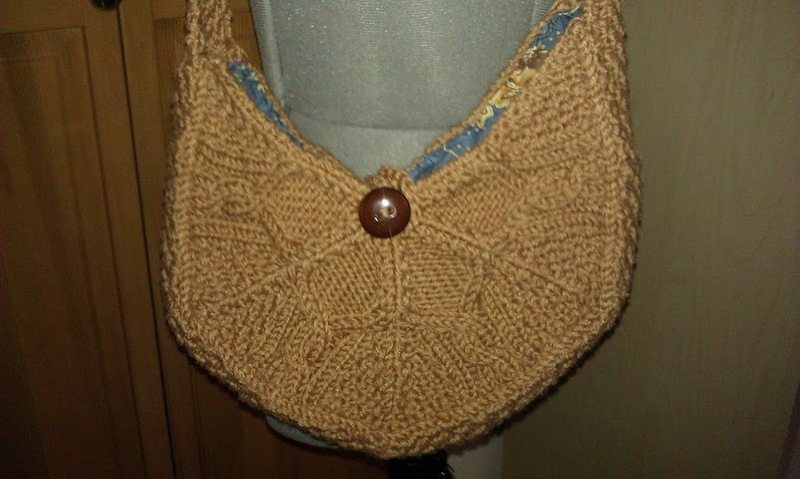 I then crocheted the handles through the rows onto my bag in the hopes of it turning out capable of bearing a load born of the bag clerk learning that knit stretches and then deciding to bag on the principal of discovering just how much the bag will hold. Strength testing, with about 20+ books in the bag. I really enjoyed how the pattern came out, learned that shorter handles at first do stretch out over time, and had nothing left to do but give the bag(s) a trial run. But what of the truly heavy items…. would my bags stack up? I’m happy to say that repeated testing is showing that indeed they do stand up… incredibly well. In fact, I strength tested this green one by loading it up with as many books as I could fit into it… which was someplace in the 25 paperbacks region. I was at a point where I was more worried for the nails holding my peg rack. The bag pictured in this post went on to carry about a bushel of fresh picked peaches over last summer. I’ve made this pattern in a multitude of sizes from Costco-mega-size to the personal half a bag size. Unless they need it sooner, I toss them in the wash about once a month to keep them clean.